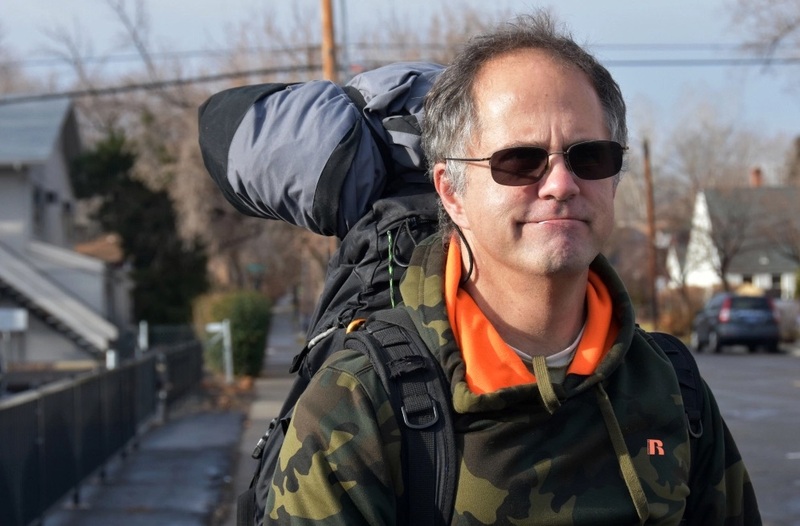 Vince King, 49, had just missed the bus when we met him. He was trying to make it to Reno's main downtown shelter run by the Volunteers of America, where you have to sign up in the morning to get dinner in the evening. Originally from San Bernardino, California, King worked for 15 years in Las Vegas, where he started as a casino craps dealer but then fell out of place and into a precarious existence. Photo and reporting by Jordan Blevins shared with Our Town Reno. 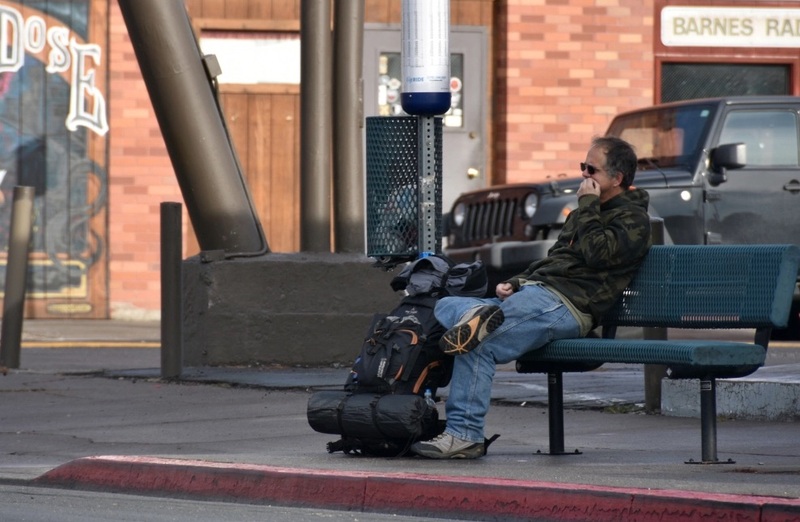 King felt the casino work lifestyle was not for him, so he tried out being a cab driver in Reno for a decade or so, but now he says he's been jobless lately and on the streets for the past six months. He's mobile with his backpack and depends on a quality tent he carries. “The other day I was out in the rain and didn’t get a drop on me,” he said. King said it's hard to get around without a bus pass, without much money to spend. He says he takes a lot naps as he struggles to find his way again. King said hopes to find a job soon and a girlfriend to help him secure financial and emotional stability. While waiting for the next bus to arrive, he said he was going to call his mom to see how she was doing. Photo and reporting by Jordan Blevins shared with Our Town Reno.